Jennie Garth (born Jennifer Eve Garth 3 April 1972 in Urbana, Illinois), is an American actress. She starred in the TV show, Beverly Hills, 90210. 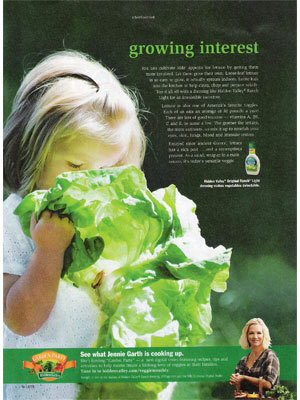 Jennie Garth is a spokesmodel for Hidden Valley (2010, Love Your Veggies, campaign).